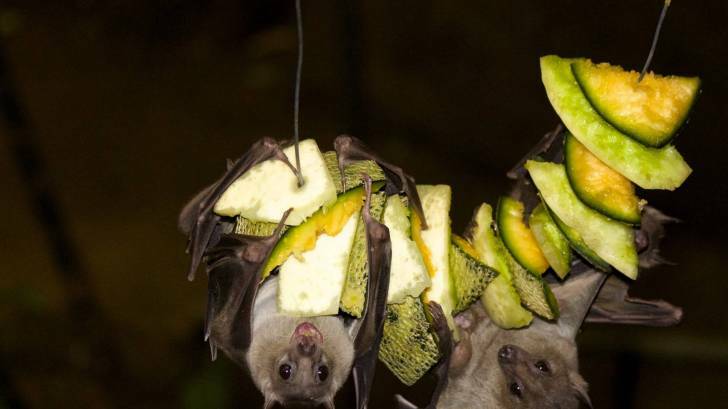 The Marburg virus has been reported in fruit bats in the country of Sierra Leone, says the US Centers for Disease Control and Prevention (CDC). Testing of samples from 4 of the 5 Marburg-positive bats found multiple genetically diverse strains. The CDC says this suggests that the Marburg virus has been present in Sierra Leone bat colonies for many years. According to the CDC on December 21, 2018, there have been no reported cases of people sick with Marburg in Sierra Leone. But, the virus’s presence in bats means people nearby could be at risk for contracting Marburg virus. Sierra Leone is a country of 7.5 million people in West Africa, on the Atlantic Ocean. There are no vaccines available, and preventive measures against Marburg virus infection are not well defined, as transmission from wildlife to humans remains an area of ongoing research. Scientists have shown that the Egyptian rousette bat (Rousettus aegyptiacus) is the natural reservoir for Marburg virus, which means the bats can carry the virus for a long time without getting sick themselves. These bats can then pass it on to humans or other animals through their saliva, urine, or feces. Marburg virus is a cousin to Ebola virus that causes a similar, often fatal disease in people. “We have known for a long time that rousette bats, which carry Marburg virus in other parts of Africa, also live in West Africa. So it’s not surprising that we’d find the virus in bats there,” said CDC ecologist Jonathan Towner, Ph.D., who led the CDC team. To date, there have been 12 known Marburg virus outbreaks with direct links to Africa, with the most recent in Uganda in 2017. The largest and deadliest Marburg virus outbreak occurred in Angola in 2005. It killed 90 percent of the 252 people who were infected. Two of the four strains identified among the five Marburg-positive bats in Sierra Leone are genetically similar to the strain that caused the outbreak in Angola, says the CDC. Marburg virus was first recognized in 1967, when outbreaks of hemorrhagic fever occurred simultaneously in laboratories in Marburg and Frankfurt, Germany and in Belgrade, and Serbia. Visit Marburg virus For more information.